There are many moments in life, which can be even more perfect by a pretty confectionery. But how about too much sugar? Grains, beans, vegetables and fruit all contain sugars, and when we eat these the sugar enters our bloodstream slowly. Refined sugars do not work in the same way, and that’s why they are so problematic. Some are sick of the “grab an apple when you want chocolate!” advice about sugar cravings. This obviously doesn’t work – if they want a cupcake, a freaking handful of raisins just simply is not going to cut it. It’s like with any problems that call for order and self-control: allow it to yourself, but be moderate. A level of voluntary modesty is healthy, and doing well in the world. Indulge it deliberately from time to time, but also establish a balancing! And if we use it, it should be the most beautiful, with tasteful design and fine decoration! We collected some stunning cupcake – most lovely and most expensive – creations and other sweets to give you an exciting impression. Birthday, Valentine’s Day, celebrations of all kinds: why shouldn’t we be guided by lovely sweets to enjoy most beautiful moments in life? Sweets and cakes can win the ultimate Surplus for a particular situation. Delicious, good for the eyes, precious for the soul and created with much love – that’s how we need it! 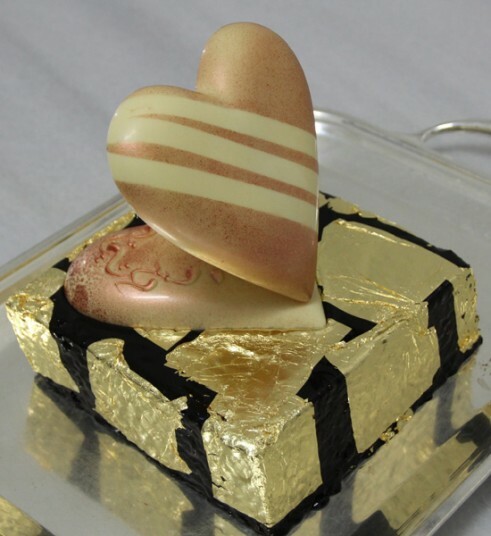 Chefs use a lot of effort to create not only the most beautiful but also the most expensive Sweets in the world. Their works are astonishing and sometimes curious as well. A dress featuring 300 purple, pink and red cupcakes – inspired by Marie Antoinette and designed by Janis Morrison – has been specifically produced and showcased to mark National Cupcake Week in September 2013. At the Chiragan Palace in Istanbul one can experience the finest cake. The Sultan’s Golden Cake priced at £360 needs to be ordered a day in advance for one to relish. The Palazzo Las Vegas takes snacking to a whole new level with their insane ‘gold vanilla caviar’ cupcake, called the Decadence D’Or, which costs $750. What makes a cupcake worth $750? How about 100 year-old Louis XIII de Remy Martin Cognac, Palmira Single Estate Chocolate from the rare Porcelain Crillo bean, Tahita Gold Vanilla Caviar – the most labor-intensive agricultural crop in the world, and edible gold flakes. Baked and assembled by the executive pastry chef of The Palazzo, Chef Long Nguyen, this royal treat will keep you coming back until you’re broke. More simple decorated but still quite expensive: the cupcakes just have expensive (and inedible) stones on them worth around 30,000 dollars. Maybe a present for a Lady which is still unsure about the design of her new necklace? Mervis Diamond Importers claim to be the first to create a diamond cupcake, which is festooned with eight ideal cut round brilliant diamonds around its circumference and a two carat Asscher cut diamond in the center. Jonathan Mervis cites that he thinks a diamond-topped cupcake could be the ultimate in luxury to make engagements and weddings as stunning and memorable as possible. 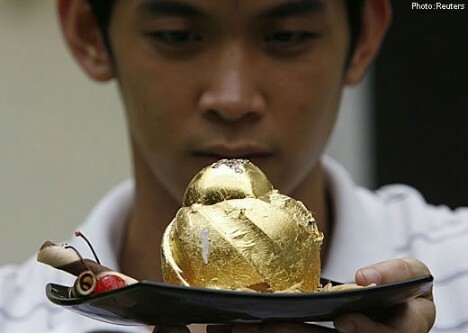 Of course a nice idea will find it’s consumers: Businessman Angelito Araneta Jr, 21, commissioned his catering service to create a chocolate cake topped with 15 African diamonds and covered with 24-karat gold leaf. Mr Araneta says he plans to sell the cake in Manila at 124,000 pesos ($13,480) to men for use as a marriage proposal gift. The Golden Phoenix, the world’s most expensive cupcake in 2012, has debuted in the Dubai Mall as part of the opening of the cupcake franchise Bloomsbury’s. The cupcake, which costs $1,007, is composed of Italian chocolate, organic flour and vanilla beans from Uganda, and is served on a 24-carat gold stand, alongside a golden spoon and garnished with strawberries dipped in edible gold. 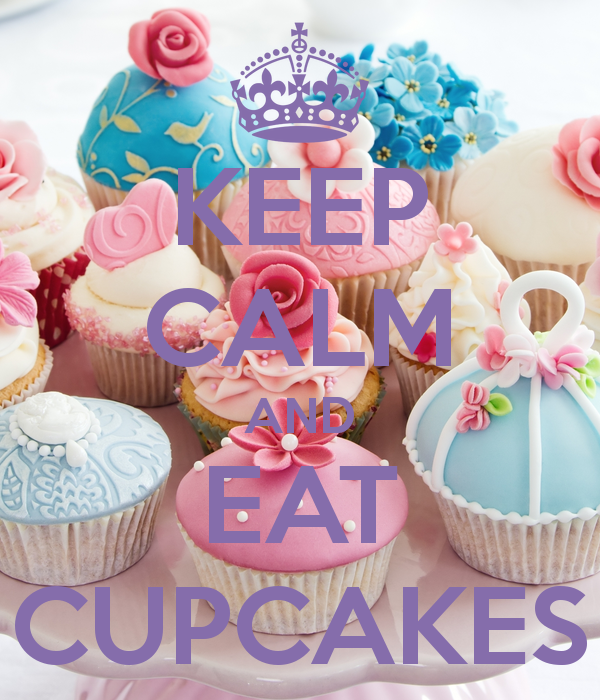 Each cupcake takes about 48 hours to prepare. Bloomsbury cupcake founder Shafeena Yusuff Ali announced she wanted to create the pricey dessert. It took her five weeks to develop the dish. Twitter backlash ensued after unveiling the dish. Negative tweets like “it’s not impressive. Sorry, but this is how I feel. And well caviar isn’t 1 of the ingredients” and “I would just think that this money could be used for a better cause than obesity. But this is purely my belief,” were some of the responses. However, the Golden Phoenix must now take a back seat thanks to the Food Network UK‘s latest contribution. Worth a hefty £768.85 ($1,227.7 ), the world’s most expensive cupcake is infused with Hawaiian AA tea, boasts a chocolate centre and contains a peach and champagne jam. 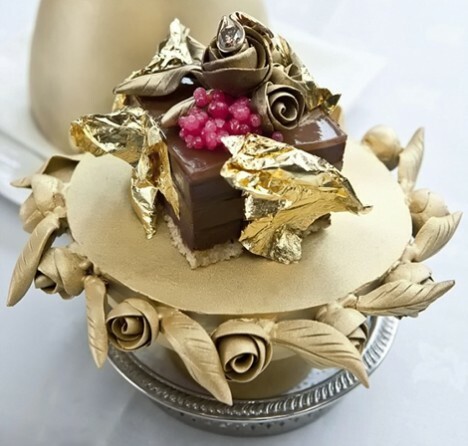 In addition, it features a luxury buttercream laced with Chateau d’Yquem wine, worth up to £5,000 a bottle, and is partially covered with 24-carat edible gold leaf. 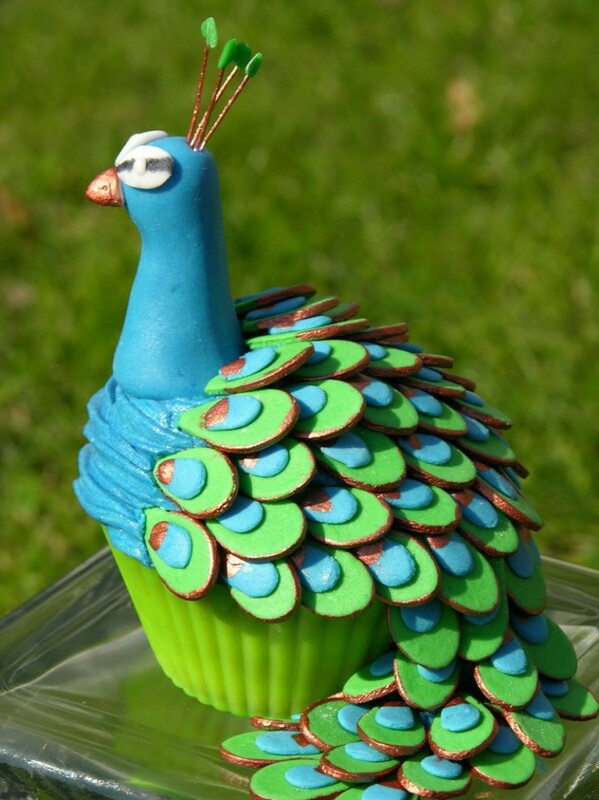 Finally, fondant made with Charbnonnel and Walker chocolate encases the cupcake and the dish is completed with a pretty bird perched on a leafy twig. Chef Marc Guibert at Lindeth Howe Country House Hotel in Windermere, Cumbria has created the world’s most expensive dessert. It is made of exclusive ingredients like caviar and four different types of the finest Belgian chocolate flavoured with a combination of peach, orange and whiskey. 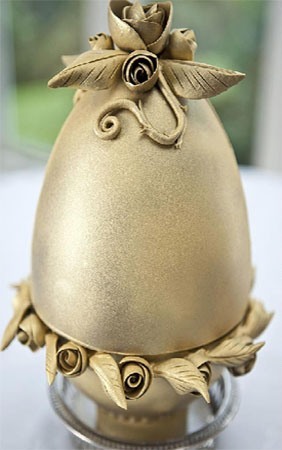 Styled like a Faberge Easter egg, it is layered with champagne jelly, a light biscuit joconde and glazed with edible gold leaf. Topped with a two carat diamond, the Chocolate Pudding requires a 3 weeks pre-order and is priced at £22,000 £ ($34,000). But finally beauty and value are in the eye of the beholder – or in this case, on the tongue of the connoisseur!